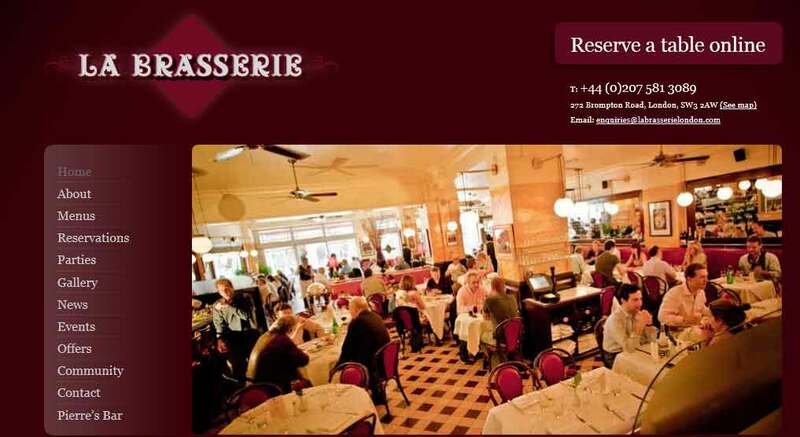 La Brasserie London was conceived in 1972 and was the first of its kind in the U.K. and quickly became a firm favourite with the capitals “Cafe Society”. In those far off days, restaurants fell into two categories: Cafes & Restaurants. The Restaurants operated in the classical vein, namely open from 12-3pm for lunch and from 7-10.30pm for dinner. This seemed to me to be eccentric. I for one was often disappointed to be turned away by a restaurant at ten past three in the afternoon and refused a meal. We made all day eating available for perhaps the first time in London and paved the way for large groups such as Conran who picked up on this more flexible approach to smart casual eating which remains an important feature in the City today. There followed several years of hard work utilising the experience & knowledge I had accumulated along the way and as our popularity grew so did our need for space and the restaurant was eventually extended to seat 125 in 1990. One of the key components to our success over the past 35 years has been simplicity, from our personally selected wines through to our classical menus and dishes.